Coffee is my go-to best buddy that helps me survive the day. I believe the way each I start my morning is one of the most important parts for achieving my daily goals and overall feeling. It’s all about getting off on the right foot and having the right frame of mind. So many of us rely on hot coffee to kick start their mornings. An ideal start to my mornings is a cup of coffee then my favorite high in fiber breakfast, such as cereal and a little mix berries to sweeten things up. When I don’t get to have my coffee when I want it in the mornings, life can go awry and make it very hard to stick with my daily schedule. I often forget what to buy at the grocery market for dinner or for the next recipe that I’ll be preparing for my blog. I remember I once had to make 3 trips to the grocery market in one afternoon just because I hadn’t had coffee and kept forgetting my list. Thanks to Thermos for sending and introducing me to Overnight Coffee Challenge. My family and I have been using their products for years but since I moved away from my mom’s house, I just simply forgot our tradition to always have a Thermos for hot and cold beverages. Now that I have kids and am on the go it is especially handy. How could I forget the best solution to always have an easy way to keep delicious hot coffee with me at all times so I don’t have to deal with the chaos that comes with coffee deprivation?! As I mentioned in an earlier post, my mom always brought a Thermos to keep the hot water ready for her favorite noodle cup 🙂 It’s a family tradition with a top-notch brand and product. Of course, if you are not a coffee drinker you could still put this Thermos to good use with other drinks or soups. 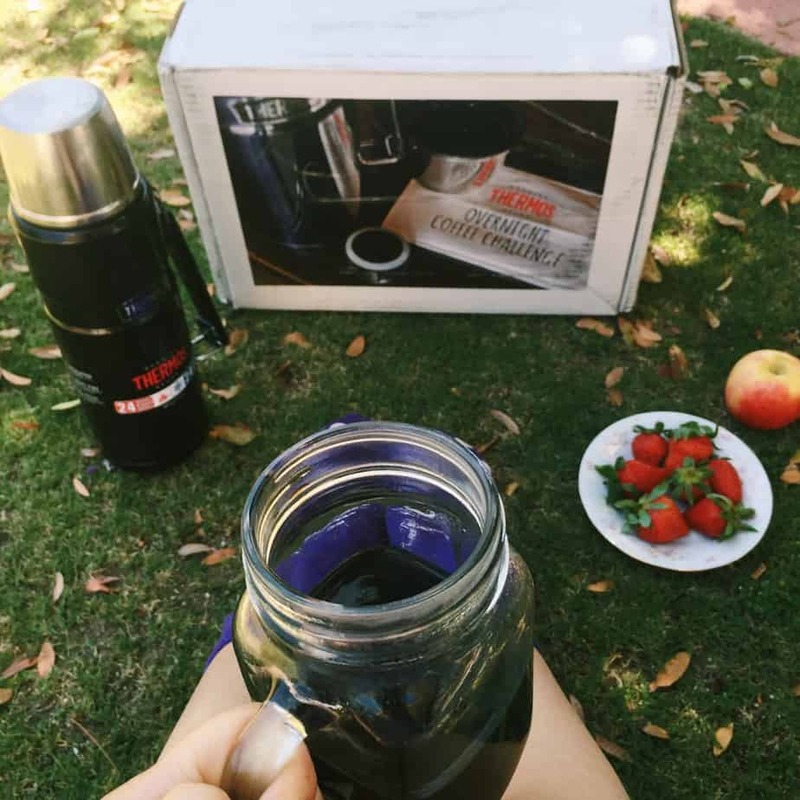 Don’t forget to share your #CoffeeConfessions stories with Thermos on Twitter. Thermos will randomly be selecting and awarding coffee to those who participate. You can share as many stories as you want! I love the thermos brand. I remember growing up that my mother would put my food in one of their thermos for me to take lunch to school. LOVE THEM! I had a Thermos back in high school and I used that thing all the time. I kept my hot drinks warm and my cold drinks cold. This always brings back good memories for me. Every time I parents grab their thermos I knew we were going on a vacation. We did a lot of road trips and I try to do that now with my own son. The thermos is always been one of the best memories of those trips just because of what it represented. This post brought back a lot of memories. We all had the lunch box thermos bottle when I was a kid and when I was working outside the home I used one to keep hot coffee with me at all times. I love my daily cup of coffee. That thermos looks so familiar – I remember having something like that growing up! 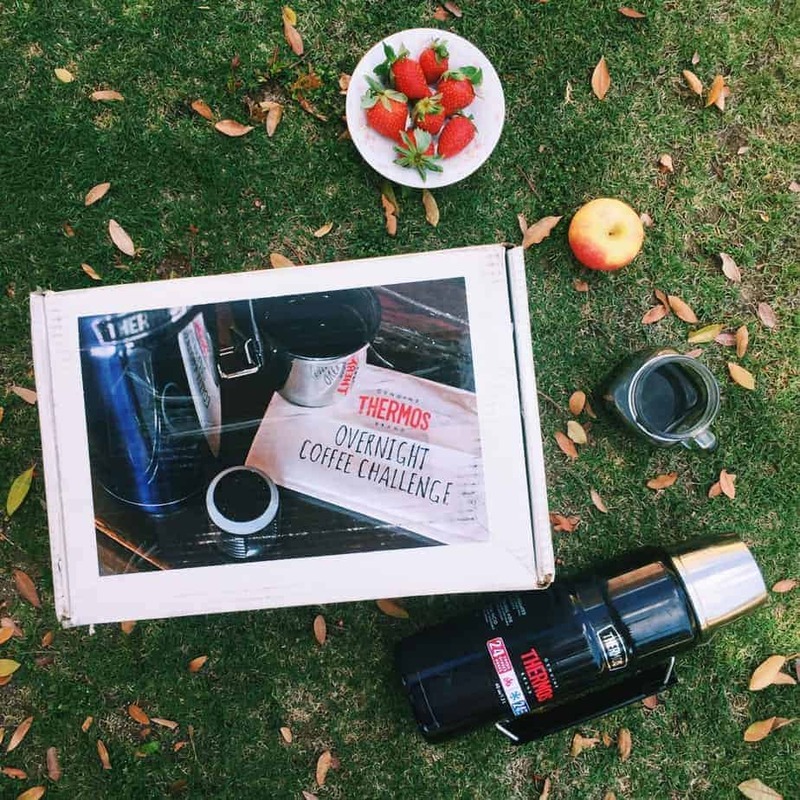 I’d love to take the overnight coffee challenge! What a great brand, for sure! Sounds like a great way to keep coffee warm! I still have an old school Thermos I used to take camping with me when I was in Girl Scouts. They really make their thermoses to last. Thermos brand products are the ONLY way to go when it comes to coffee and beverages for me! I absolutely love coffee, and can’t go a day without it. I take my Thermos with me everywhere. It’s really nice being able to keep your coffee nice and hot for hours. Thermos is always the best brand for that. This would be great for my husband. I don’t know why I’ve never thought of a thermos for him – he drinks the coffee here not me and this would be great for his commute! I haven’t used a Thermos in forever. That would be great for my coffee on the go! These are gorgeous! They really stepped up their game, they are sleek! I bet the coffee stays warm. This Thermos sounds like something I could surely use on a daily bases. We love our coffee and this thermos sounds like an awesome one to keep the coffee hot. I love that is keeps it heated for up to 24 hours. Thanks for sharing this amazing product. Never heard of overnight coffee before. However, I do remember using the Thermos brand when I was a kid. So many memories! My husband has one so he can take hot soup to work on cold days in Chicago. I never thought about coffee for some reason. I have to have coffee first thing in the morning. It’s like…leave me along until it is in my veins. Lol. I remember I would have chicken noodle soup in my Thermos one day and ravioli in other days back in 5th and 6 grade. Good memories.